Have you ever been so overwhelmed that the only thing you can do is cry? I am now 185lbs. 30 pounds up from my lowest weight post-BLA. I know that I have Cushing's again, and I'm in a horrible cycle of losing and gaining weight. I am overwhelmed by this possibility, and just don't know how to handle it. Every time I have known something's off, I knew exactly what it was, and have been right each time. I'm doubting myself, thinking maybe it's what I'm eating, but I know it's not. Maybe it's because I'm not exercising enough, but I never have been very active, due to my weak muscles and bones. I am also overwhelmed by my new diagnoses of Multiple Endocrine Neoplasia type 1. It means countless surgeries - the pamphlet I got said that one particular patient that has a foundation has had 28 surgeries including a total pancreatectomy, giving her surgical diabetes. I already have had a pituitary tumor and a parathyroid tumor, and I just want the parathyroid tumor OUT, now. I don't think I can go through more kidney stones. Someday, I will have pancreatic cancer. Will they be able to catch it soon enough to operate? Will that happen in the next few years or will I have a break from all of this before I have to climb that hill? I am just so overwhelmed in this moment that I can't even begin to think about how to deal with all of this. On one hand, I can't believe I've gotten through all that I've already been through, so dealing with all of this is not a big deal, but on top of everything else it seems like such a big thing to deal with for the rest of my life. On top of everything else, I'm trying to work as much as I can to somewhat support myself, complete my degree at UVM, and in some moments, trying to be a normal 20 something, having some sort of social life and maybe trying to date a little more. 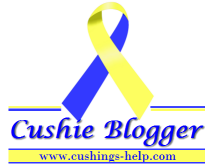 Have you had a reoccurrence of Cushing's after BLA? What about MEN-1? How did you deal with these diseases and stay positive? Positive seems like it's very far away right now.